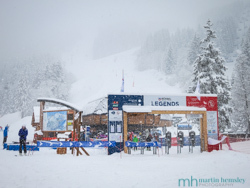 Hi everybody, time for another post this time all about what the weather has been up to recently, and how the snow conditions are at the moment here in Meribel. A couple of days ago the French school holiday period finished. It may sound strange to hear that, after all the British half-term break finished two weeks ago. But the French have the foresight to split their country into different regions, and then allocate different weeks for diffferent regions, or zones as they all them. Genius. This means the surge of happy holidaymakers is spread evenly over the course of four weeks. If only the British did this. It would mean that the ski resort could help visitors much better with the demand. I know from personal ski instructing experience, that people requesting ski lessons far outweighs the supply of instructors having availability. A real shame. 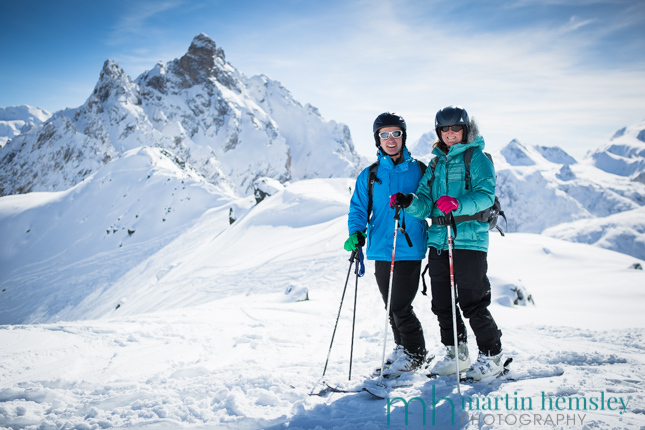 Everybody in resort makes a sterling effort to help visitors have a great holiday; including hotel workers, pisteurs, lift operators, restaurant workers, piste-basher drivers, road snow-clearers, ski instructors and anyone else I've forgotten to mention. This is all stuff that can be controlled. What can't be controlled however is the weather, and the snow conditions. An example of this was the Festive period earlier on this winter when things were way below average. So how are the conditions now? My goodness what an extraordinary recovery we have had. If you were lucky enough to come out over the British half-term period, you will know first hand exactly what I mean. We have been on the receiving end of storm after storm after storm......you get the picture. 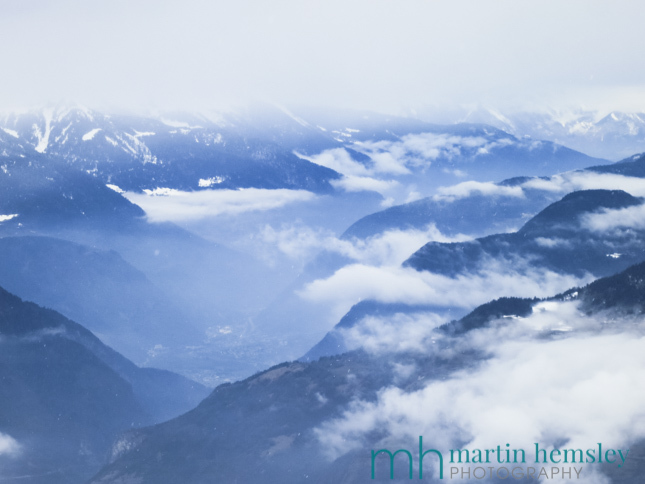 Each weather front passing through has gifted the mountains with loads of fresh snow. Granted, the rain/snow limit has varied considerably, and I'd be lying if I said it hadn't rained a bit at resort level. The vast majority of the time the freeze limit has been below the village. This in turn means that we've got a huge amount of snow at the top half of the mountain, and now a very respectable coverying on the lower half of the ski area. All great news. 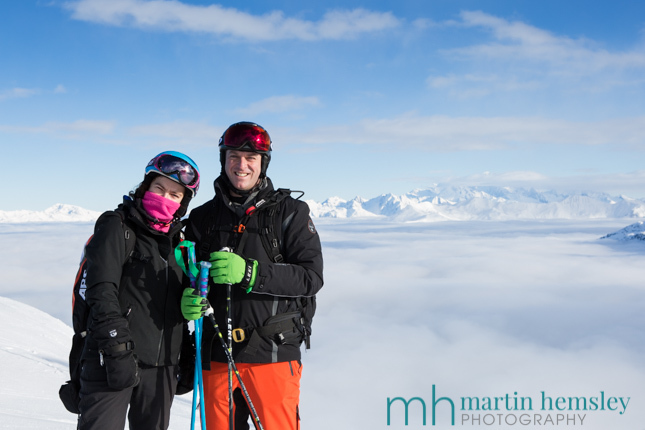 To have these great snow conditions hasn't all been a bundle of laughs though. Sometimes the winds have been brutal. This meant that lift closures were common at times, even all the way down to Chaudanne (where the bottom lifts start from). Also, one had to be very careful and aware of avalanche danger off-piste. 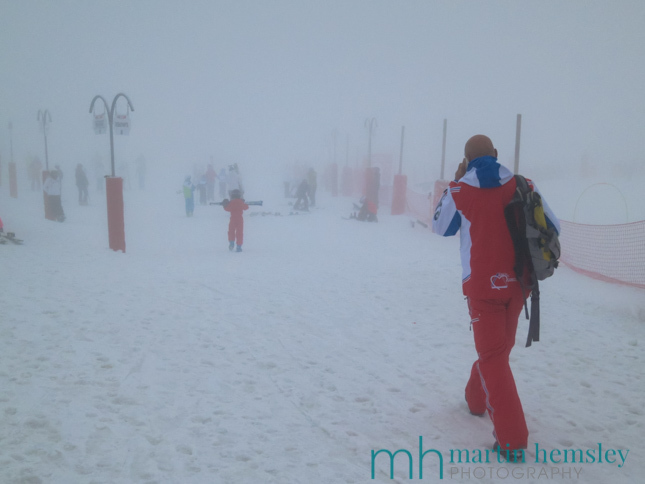 We've also had our fair share of white-out days, when navigating around the mountain was posing more of a challange that many struggled to deal with. There was one day last week when I was walking across Chaudanne to get to the school, and I couldn't see a thing, and soon realised that my route was going at the wrong angle. 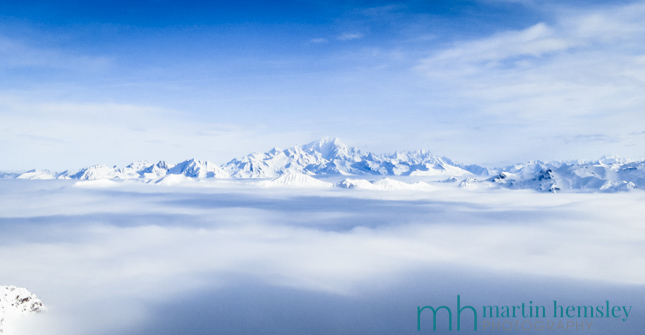 Sometimes however we were lucky enough to get above the thick sea of cloud, which is always a privilege to experience, and leaves everybody awestruck by the scene in front of them. So a bit of pain for the gain. The great news though is that I strongly believe that we have sufficient snow now to helps us through until the end of the season. This is quite a bold statement to make I realise, especially because we have now entered the month of March. It is around this time of the season when we are basking in the warm (if not very hot) sunshine. 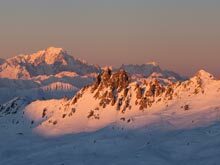 The lower slopes, especially those facing the west and east, have the cycle of freezing at night, and thawing during the day. However, as I'm tapping away on the keyboard, it has been snowing for most of this weekend, with the temperatures in resort below freezing. In fact it looks as though we have another week ahead of us with below average temperatures, which of course helps delay that freeze thaw process even longer. So if you are planning on coming his month for a ski trip, it's looking very good indeed for snow conditions. 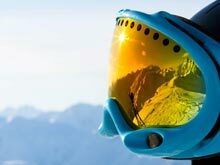 If you aren't planning coming out for a ski trip, then why ever not? The snow is in good nick, the sun will be out, and the exchange rate is still favourable. 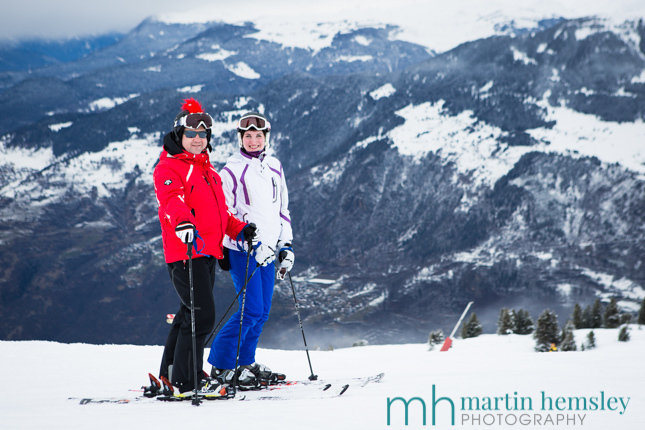 I hope you enjoyed this latest update, direct from Meribel. By the way, all of these photos were taken in the last four weeks. 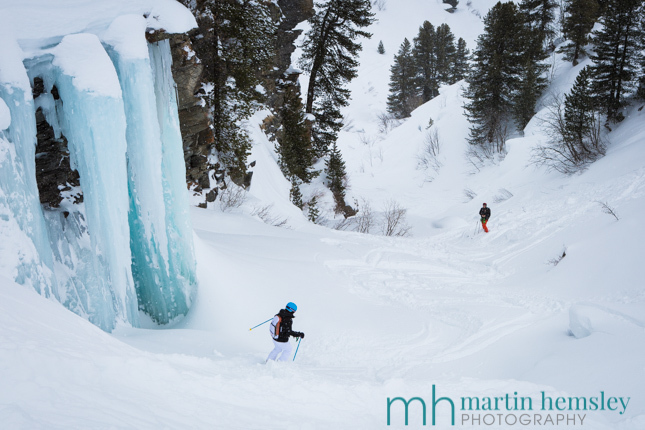 If you would like to read a more specific article about improving your skiing, then click here for the link. Feel free to share away on Facebook, Twitter, Google+ and LinkedIn by using the social media icons. Or leave a comment below. Have a great week everybody. Right, where is my high factor sunblock? Martin.